A beard can up your masculine look a lot, but not taking care of your facial hair can have the opposite effect. There are a few things every gentleman should have, and a proper grooming routine is one of them. However, it’s not always as simple as a razor and shaving cream. Therefore, we’ve taken this week’s blog post to let Giuseppe Bicceri explain the do’s and don’ts of grooming. What do you, as a hairdresser, like so much about grooming? 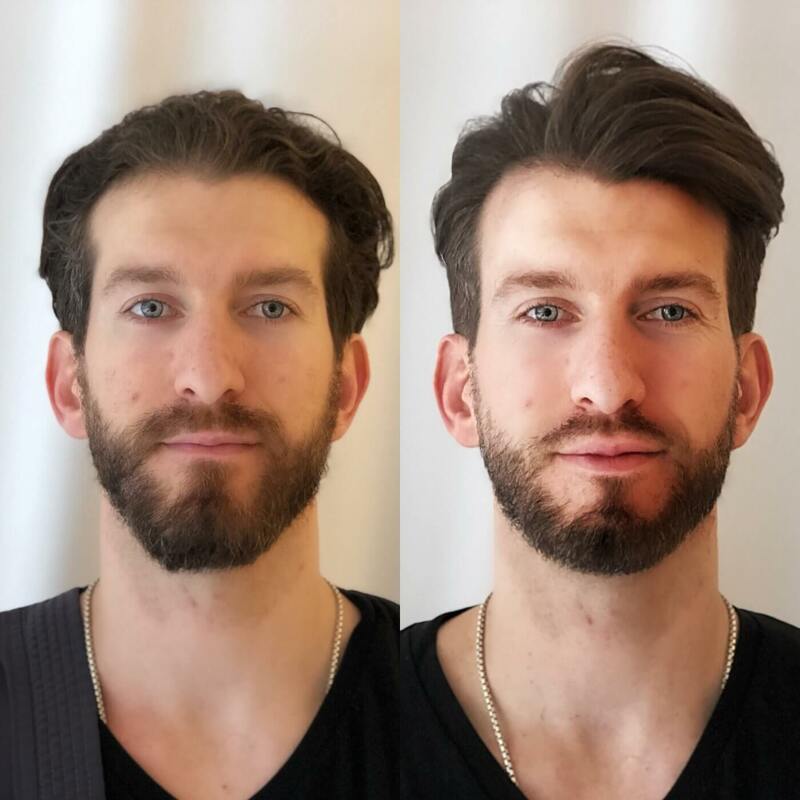 I love how it can change a man’s look completely and create a harmony to the face in conjunction with the hair. Grooming allows me to combine my knowledge as a makeup artist and the skills of a hairdresser. It has the same effect as makeup, but it lasts for weeks instead of 10 hours. I love making people feel beautiful and confident and having a proper grooming routine definitely play its part. Some people say that grooming is like contouring but for men — is that true? Yes! Facial hair can be thick, thin, short, long and even tangled but getting a proper trim can tweak a man’s features. With makeup, it’s all about light and shadow to create depth to the face. The same thing goes with grooming and beard. For instance, if a client has a fuller face, we play with sharp lines and the opposite if we want to make the face a bit wider. Oh wow! What else can be done? You can make a face thinner, create a sharp jawline and fuller lips – it’s all about playing with volume and shadows. One way to change the shape of your mouth is to trim a fine line just above the lips to make them larger. Small adjustments like this have a great effect on the final look. How often should you ideally trim your beard? It all depends on how fast your beard grows, but usually, I create the shapes at the salon and then all you have to do is keep the shape by trimming it every two weeks. As hairdressers in New York City, we want to make sure that your hair fits in your style, life and personality. Same goes for your facial hair.